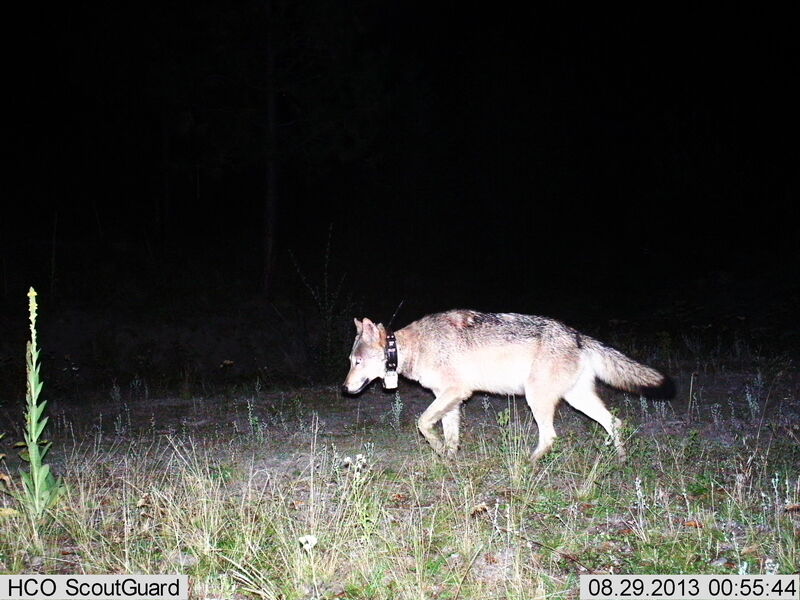 In collaboration with the University of Washington Predator Ecology Lab we are launching an online crowdfunding effort. Led by Professor Aaron Wirsing, we hope to raise $12,000 US to fund radio collaring deer as part of an ongoing wolf study. Our goal is to better understand how the return of these top predators to Washington may impact other carnivores, deer populations, and perhaps even plants. To visit our campaign page and see our promotional video click here. Please share our campaign page with as many friends as possible! Predators often have important roles in structuring ecosystems via their effects on each other and on prey populations. However, there is growing concern that the ecological roles of predators will be altered when they access readily available food provided by humans. The key issue here is that 1 billion metric tonnes of food produced for humans each year is lost or wasted. Even in developing regions where food shortages exist, 44% of food produced for human consumption is lost in production, storage and transport, while consumers also waste large quantities of edible foods. 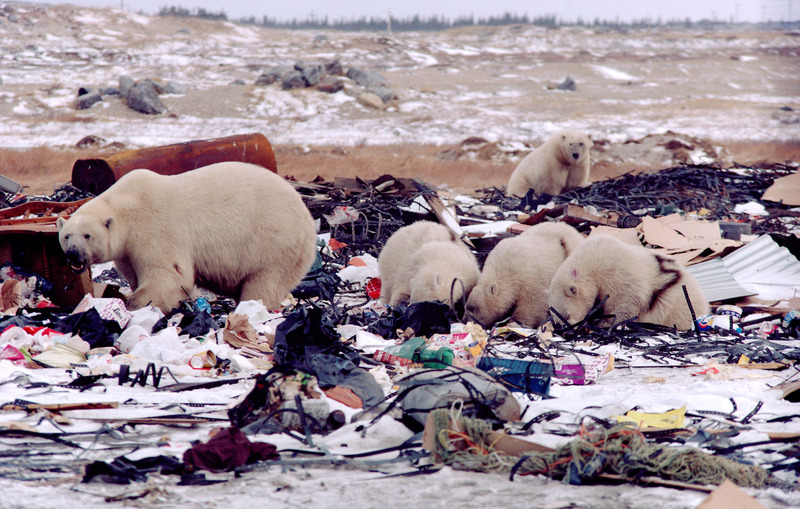 Frequently, this waste food is dumped or discarded so that it is easily accessed by wildlife, particularly in areas where there are high human densities or relaxed environmental policies. 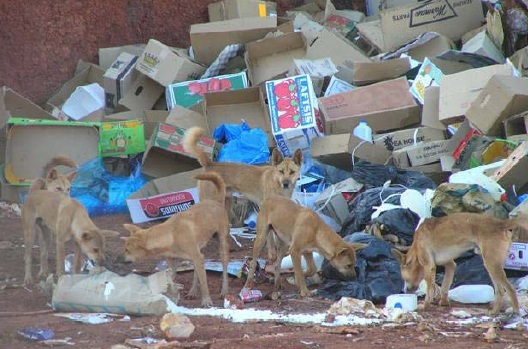 For example, large quantities of human food scraps are often discarded in unfenced rubbish dumps or left to rot around townships. On top of this, in Africa and Asia alone, over 10 million tonnes of cattle carcasses are unused and discarded each year. High livestock mortality rates mean that millions of carcasses are left to rot in the field, while vast quantities of resource subsidies are available as crops. Urban settlements also continue to expand rapidly, adding to the expanses of modified landscapes where resource availability is regulated by human activities. In a recent paper published in Global Ecology and Biogeography, we quantified the ecological effects of providing resource subsidies to terrestrial mammalian predators (greater than 1 kg in body size) by reviewing published studies on the topic across the globe. Overall, our review included data from 129 published studies. Seventy percent of the studies were published after 2000, indicating that predator access to human-provided foods is an emerging research topic. The review included 36 different predator species from 34 countries across all continents. The most prominently featured predators were grey wolves, dingoes, coyotes, red foxes, golden jackals and domestic dogs. Over 50% of the studies came from four countries: the United States (N = 29), Australia (N = 24), India (N = 13) and Israel (N = 9). In the presence of the resource subsidies we found that (i) predator abundance generally increased, (ii) the dietary preferences of predators altered to include the food subsidy, (iii) life history parameters such as survival, reproduction and sociality shifted to the benefit or detriment of the predator, and (iv) predators changed their home ranges, activity and movements. In some instances, these modifications negatively affected other species via increased predation or competition. A few of the papers we reviewed are worthy of highlighting. One study compared coyote density across a gradient of anthropogenic food availability and found an eight-fold increase in coyote density in the most human-developed area. Another study found that black bears exploit highly predictable waste foods by forming social aggregations and tolerating other bears around rubbish dumps. In South-America free-roaming domestic dogs, subsidised by humans, were shown to be efficient at chasing and harassing a threatened deer species. An influx of free-roaming dogs in Israel was found to be a major factor causing decreased recruitment of mountain gazelles. We also found evidence for subsidy-driven prey switching behaviours. Most notable was the study demonstrating that spotted hyenas increase predation on donkeys when the availability of urban and rural waste declines during Christian fasting periods. Surprisingly, despite the many studies demonstrating that the largest predators included in our review frequently eat livestock, this food source comprised only 17% of their diet on average. However, this may reflect the high risks associated with taking livestock such as persecution by humans, with many studies in our review indicating that even when predators use livestock, they alter their behaviour to avoid humans. Taken together, the changes to food web interactions that we documented in our review highlight that many countries, even those technologically advanced, are addressing inadequately the problems associated with predator access to resource subsidies. Additionally, it is clear that predators frequently utilise human-provided foods, and that the ecological effects appear to be mostly negative. The potential changes to food web interactions when predators access human-provided foods. Solid lines are direct effects and dotted lines are indirect effects. 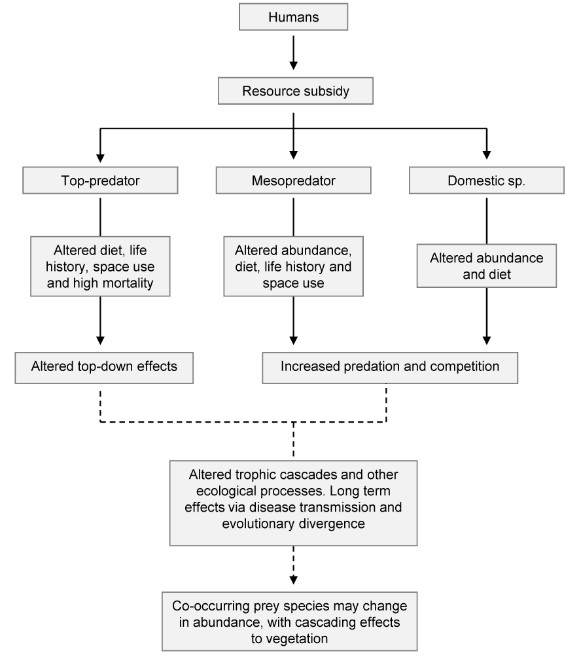 Subsidies result in changes to space-use, life history parameters, diet and density of predators. These responses may indirectly affect co-occurring predators and prey. In a world where human activities are continually expanding, it is crucial that humans change the way in which their waste and resources are managed in order to minimise the access of predators to these rich resource subsidies. A key step to achieving this goal is to reduce the amount of edible food that is lost or wasted by humans. A co-benefit of this strategy is that it may help to solve global food security problems, with roughly 1 in 8 people lacking access to sufficient food. It may also slow down the rate at which land is being converted to agriculture, which is arguably one of the biggest threats to biodiversity across the globe.